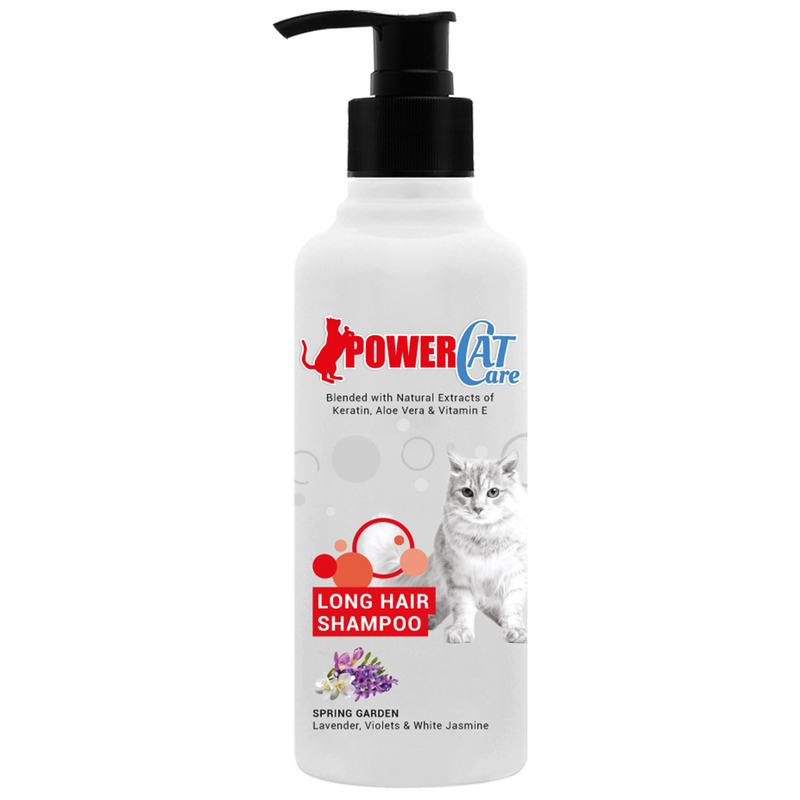 POWERCAT CARE Long Hair Shampoo is your pH balanced solution for long haired and fluffy cats. With natural extracts of Aloe Vera, Vitamin E, Horsetail Plant Extract & Keratin Amino Acids that strengthen the coat and increase shine, leaving the hair naturally soft and cuddly. For further care, use our Leave-On Detangler to release knots & tangles!